The League of Explorers is Now Live! The Staff of Origination has been divided into three pieces, and they’ve been scattered across the face of Azeroth. If our translations are correct, now we know where the pieces are. Aye, we’re close! An ancient Titan artifact! Imagine what it’ll teach us! Right-o, chap! Imagine how absolutely smashing it will look in the collection! I imagine that it’s worth a fortune. . . Why are you all looking at me like that? The Temple of Orsis, the first wing of The League of Explorers, is now live in all regions! 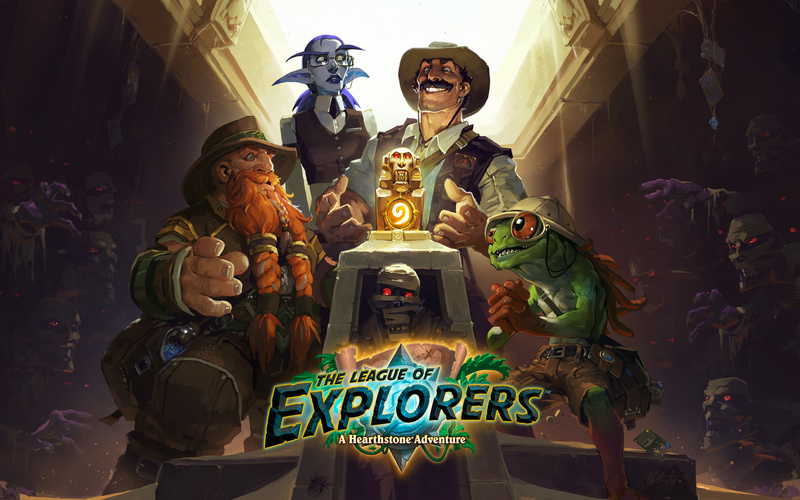 Note: In order to access The League of Explorers once it goes live in your region, please restart your Hearthstone client. Pack your satchel, grab a torch, and put on your explorer’s hat, because your first expedition in The League of Explorers is taking you to the mysterious Temple of Orsis! You won’t be going alone, though! You’ll be joined by world famous explorer (and exceedingly modest hero) Reno Jackson. Reno is quite the dashing adventurer, as he’s sure to inform you, but sometimes he gets a little confused about the difference between treasure hunter and archeologist. While his fingers can be a little sticky, Reno’s heart is in the right place. He’s out to prove that he deserves his place in the League of Explorers, with a little help from you. It’ll take all of your combined cunning, wit, and above all else, restraint, to overcome the Temple’s trials and acquire the first piece of the staff for the League of Explorers! Can you help Reno survive the Temple of Orsis? Find out! Learn more about The Temple of Orsis here! 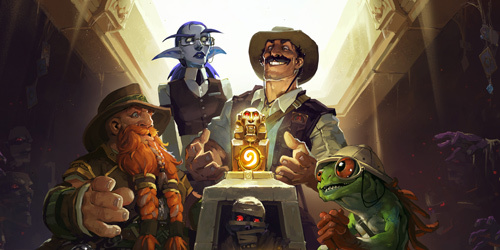 Discover ALL The League of Explorers cards on the official Hearthstone Facebook gallery.